A few weeks ago, Target Corp. made industry headlines when it halted business with textile supplier Welspun India Ltd., a move that Wal-Mart Stores Inc. is now emulating. As we previously reported, Target accused Welspun of selling it sheets that were incorrectly labeled as being premium Egyptian cotton (Fieldcrest Egyptian Cotton 500-thread count sheets). After releasing a statement explaining that this vendor behavior violated its high ethical standards, the retail giant said it would be removing all of the products from store shelves and providing customers of the sheets with refunds. At the time, an equity research analyst told The Wall Street Journal that Welspun was concerned that other "big clients may begin to look into Welspun's practices." The major brands that the source was likely referring to include J.C. Penney Co., Bed Bath & Beyond Inc., Macy's Inc. and Wal-Mart. Recently, Wal-Mart conducted an investigation that was unable to prove the legitimacy of Welspun's products, leading it to discontinue the sale of the sheets, The Wall Street Journal reported. The majority of the textile company's revenue is generated by U.S. retail organizations and, over the past month, there has been a 45 percent dip in the value of Welspun shares. "Welspun has not been able to assure us the products are 100 percent Egyptian cotton, which is unacceptable," said Marilee McInnis, a Wal-Mart spokesperson, according to the source. Like Target, Wal-Mart is also issuing full refunds to any customers who bought the sheets, and plans to donate the ones that are already within its inventory. The other two retail giants that make up a large portion of Welspun's customer base, J.C. Penny and Bed Bath & Beyond, have both announced that they, too, will be investigating the products - though The Wall Street Journal noted that neither company was available for comment. Unlike Target, though, Wal-Mart is not completely cutting ties with the Indian textile supplier. According to the source, McInnis explained that it plans to work with Welspun to develop better controls and labeling practices for the goods Wal-Mart purchases from the vendor. Singing a similar tune to the one it did following Target's announcement, Welspun indicated that it understands that these "traceability concerns" must be taken seriously and that addressing them is of utmost importance. 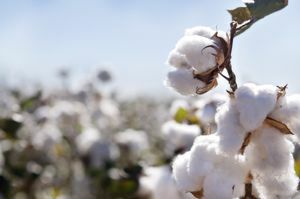 The Wall Street Journal noted that this controversy has highlighted a bigger issue with the cotton industry - the lack of real Egyptian cotton available. The source added that the Cotton Egypt Association has revealed that nearly all, or about 90 percent, or goods that are labeled as being made with "Egyptian cotton" aren't legitimate - and that the U.S. Department of Agriculture found that less than 1 percent of the cotton produced across the globe last year came from Egypt. Aside from the concerning problem of inauthenticity plaguing the cotton industry, this event also sheds light on the importance of companies being proactive about ensuring end-to-end supply chain visibility and transparency.